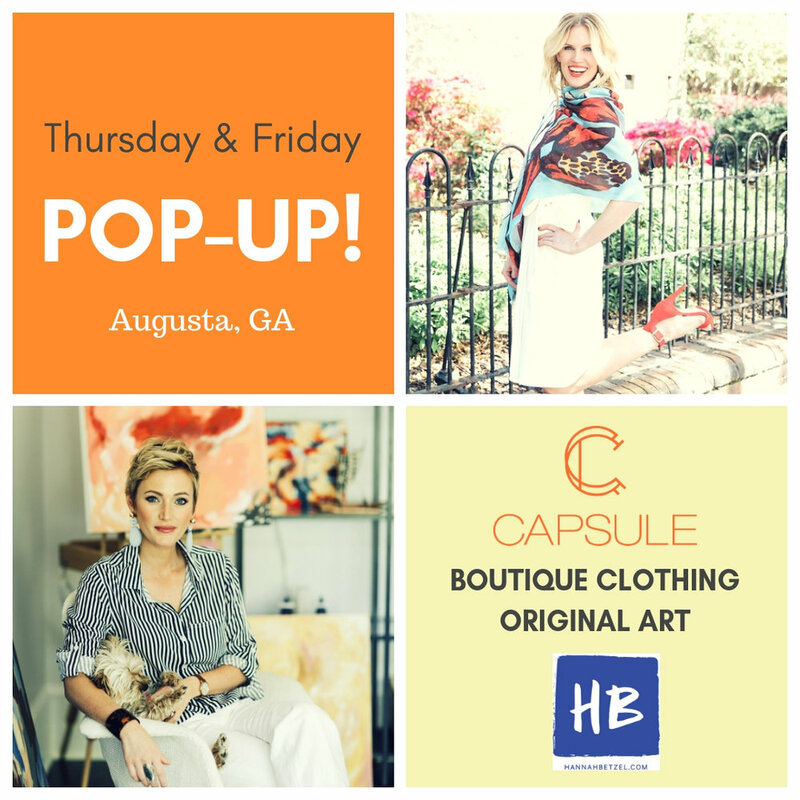 I'm so excited to be visiting with you and the Capsule crew in Augusta, GA!! Stop in Thursday 5:30-7:30 and Friday 10am-5pm and say hello! I'm bringing all original pieces along with part of my collection of vintage frames outfitted with original paintings on paper. These pieces often don't even make it to the website, so be sure to stop in and see what we have in person. Capsule, a gorgeous upscale clothing boutique, will be offering 20% off on the chicest game day clothing during the event too!